A light plane crashed into a public space yesterday, not too far from us. 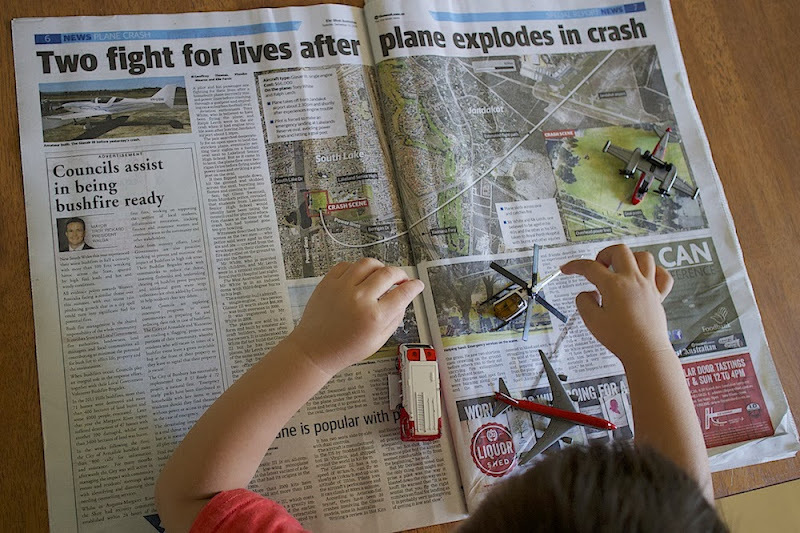 Today was little R's regular Tuesday with us, and he was very taken by the many photos of the crashed plane and rescue vehicles in the newspaper. (He's a plane, truck and car nut). 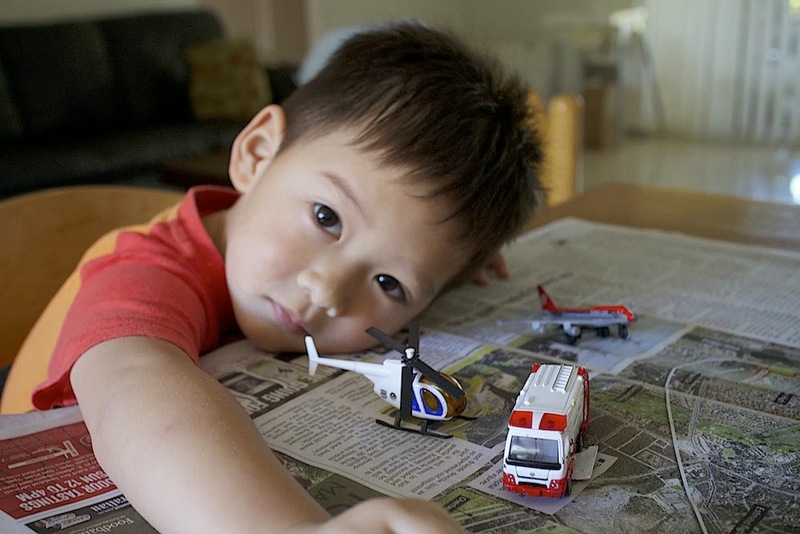 After C explained the crash to him, he brought out relevant toys and proceeded to do a re-enactment of the events on the newspaper.